JavieChua.com is a blog (weblog) website aimed to share the success journey and the process that the owner has faced during his exploration on the journey to success in life. JavierChua.com content is produced by Javier Chua, an internet marker who is one of the founder of the famous Housing In Singapore website. Javier has achieved the Tan Kah Kee’s Young Inventor Merit Award and the International Students’ Invention Exhibition (ISIE) Gold Award with his 4-in-1 Advertisement Display in 2002 and 2003. He has always wanted to become an entrepreneur since young but there is no role model in his family becoming successful businessmen. While serving national service, he stumbled upon many self-help books such as Rich Dad Poor Dad, Think & Grow Rich, Secrets of the Millionaire Mind, The Magic of Thinking Big and many more that totally changes his mindset towards becoming successful in life. 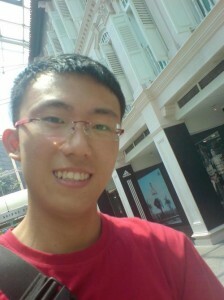 Right after army, he admitted into one of the top university in Singapore, NTU and studied for 3 weeks. Throughout the 3 weeks of school, he realized that what he wants to achieve in life cannot be found in the current school system that teaches people to study hard to get good grades in order to find a secured job after graduation. Therefore, he decided to drop out of school. This blog is created exactly about a year after he has quit his school to explore the massive possibilities of the internet. Javier’s birthday falls on 24 July which is similar to the running hours of the internet – 24 hours 7 days per week and therefore he strongly believes that the internet is the best place to find his success in life. During this one year, he has found his desired lifestyle and goals in life that he wants to achieve. Success comes with a belief in ourselves to strive and be persistent in what we are pursuing to reach the goals we want to achieve in our dreams. The sky is the limit so follow your dreams and have faith in yourself. Join Javier now on the journey to success!